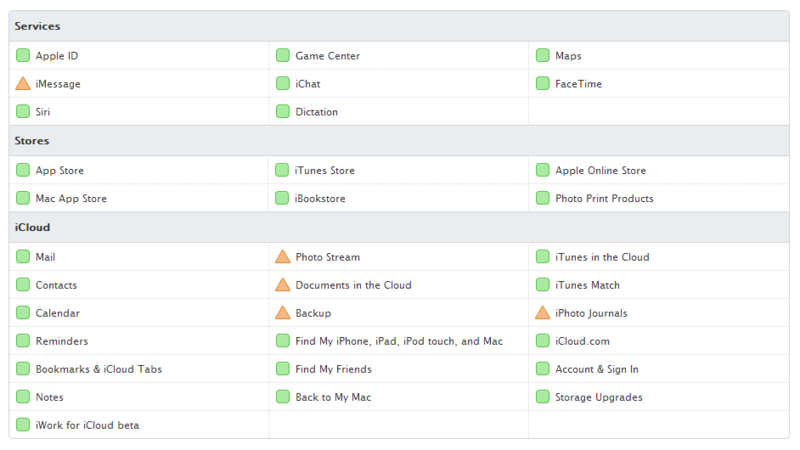 Update: Apple’s service status page now shows all systems working normally again. In total, they were down for around 11 hours. Some users of Apple’s iCloud documents, Photo Stream, iPhoto Journals and Backup & Restore are unable to access the services due to issues affecting the system. According to the Services, Stores, and iCloud system status page, all of the previously mentioned services are suffering from known issues. Users might also be unable to send or download attachments in iMessage. Certainly, some Twitter users seem unable to access the service. All other services seem to be up and running just fine though, and while it’s currently only affecting “less than 1 percent” of the user base it has been going on for more than eight hours without a fix, as yet.